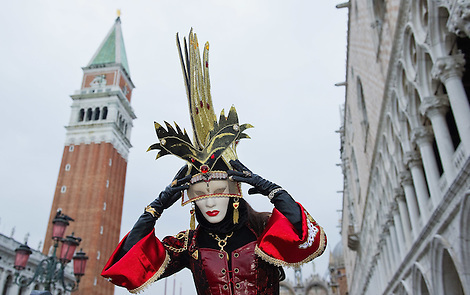 On Saturday 19 and Sunday 20 February, the “Festa Veneziana” (Venetian Festival) took place in Venice.The prologue to the Carnival – to be held this year from 26 February to 8 March – is dedicated to the people of Venice. Over the weekend, several of the city’s rowing associations made their way through the city’s famous canals. The festivities ended with the “Volo della Pantegana” (the flight of the rat), a parody of the flight of the angel, which traditionally opens the Carnival.